Born at Rush Hospital, Romero has lived her whole life on Bishop Street in Chicago’s Pilsen neighborhood and has no intention of ever leaving. But like many Chicago neighborhoods, Pilsen is changing, and that change is making Romero uneasy. “I feel that sense of self is threatened every day that I walk down the street and see a new development...” she said. In recent decades, the demographic make-up of Pilsen has changed. More white and middle-class people have moved in, and the neighborhood has become more attractive to developers. Property values have increased, rents have gone up, and the number of low-income, Latino families has declined. 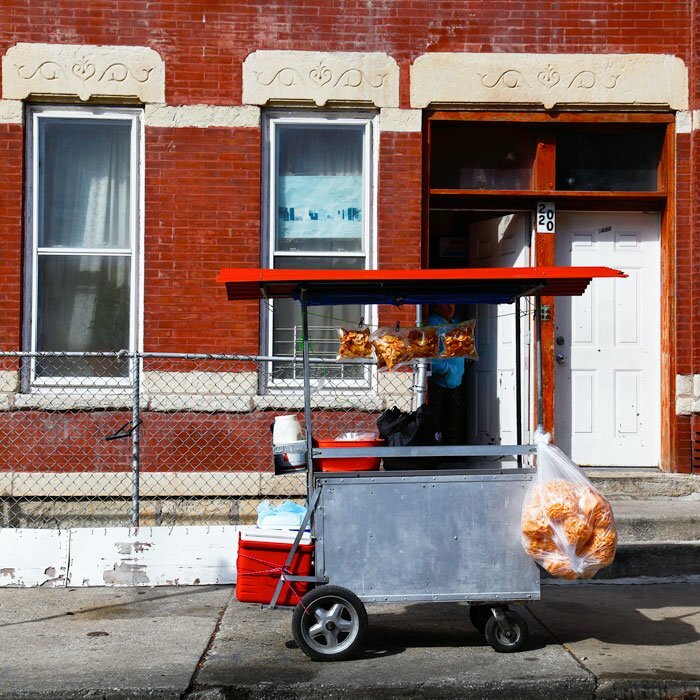 Between 2000 and 2010, the Latino population in Pilsen declined by 26 percent. These changes have triggered difficult conversations about race, class, and whether any community has the right to claim ownership of an urban neighborhood for very long. But Pilsen has a long history of not backing down from a fight, and community leaders are confronting this challenge head-on. Mexicans arrived in Pilsen en masse in the 1960s and ’70s, having been displaced by city-sponsored urban renewal initiatives that included the construction of the University of Illinois at Chicago (UIC), just north of Pilsen. Soon after they arrived, long-time residents – mainly Polish, Czech, and other Eastern European immigrants and their descendants – fled. And so, Pilsen became the first majority Mexican neighborhood in Chicago. At that time, Pilsen’s century-old buildings were decaying, its schools were neglected, and its streets were crumbling and violence-ridden. But grassroots activists dedicated themselves to turning things around. They claimed their spaces with vibrant murals depicting Mexican heroes, evoking their place in a long and proud history. They fought for and constructed institutions that would allow their families to thrive. In Pilsen’s soil, scarred by decades of industrial pollution and strewn with the artifacts of generations of immigrants who came before them, they established deep, thick, strong roots. In recent years, Pilsen residents have joined forces, rallied resources, and invented new tools with which to challenge their elected leaders, oppose displacement, preserve affordability, and protect the neighborhood’s character. Whether they will succeed remains to be seen. But if it can be done in Chicago, it will be done in Pilsen. Jose Perez, 42, has lived in Pilsen since he was one year old. He was a teenager during the neighborhood’s most violent years in the ’90s and remembers sitting with his friend and neighbor on his front stoop, watching a drive-by shooting that emptied bullet after bullet into his friend’s house. “They pulled his dad out, covered in blood, and he watched him die right in front of his face,” he said. He and his six siblings always wanted to move, but he said his mom dug in her heels. She told them that if they left, the violence would just follow. Today, he contributes financially to the local schools and arts organizations. This past winter, he donated to several local families who lost their homes in a spate of fires. He is able to do so, in part, because of the neighborhood’s upward trajectory. He and his family have been successful. They own 15 buildings with a total of 36 tenants. He is also an agent with Farmers Insurance. He’s appraised hundreds of homes throughout the neighborhood and says he’s seen how development has turned many formerly rundown buildings into safe, respectable homes. And he doesn’t think that’s a bad thing. But he would like to see Pilsen preserve the community feel, and the character, that it has today. There’s a reason Pilsen doesn’t have more large-scale developments. Pilsen requires developers who want to build more than 8 units to set aside 21 percent of those for affordable housing. The requirement is double that set forth in the city’s Affordable Requirements Ordinance, which mandates that buildings with ten or more units that receive a zoning change, city land, or city financial assistance set aside 10 percent of their units as affordable. Pilsen’s unique inclusionary zoning mandate was developed and is monitored by the Pilsen Land Use Committee (PLUC), composed of representatives from four neighborhood organizations with long histories in the community: The Resurrection Project	(TRP), Alivio Medical Center, Eighteenth Street Development Corporation, and Pilsen Neighbors Community Council. In 2004, a network of nearly two dozen community organizations and churches pushed 25th Ward Alderman Danny Solis to hold public meetings on all proposed zoning changes in Pilsen through a referendum that passed with a 95 percent approval rating. Solis responded to the non-binding referendum by creating PLUC, a closed committee of neighborhood leaders that he now consults on proposed zoning changes. If PLUC doesn’t approve a project, the alderman doesn’t approve the developer’s zoning change request. Guacolda Reyeswas the longtime VP of residential development for TRP and served as the organization’s liason to PLUC for years. She is currently on the board and has recently moved to a position with the Chicago Metropolitan Housing Development Corporation, a citywide affordable housing corporation. She said that it is difficult to get many developers to concede to Pilsen’s 21-percent requirement, which cuts into developers’ profits. In 2015 and 2016, she said, PLUC reviewed a total of seven projects and either rejected or didn’t come to an agreement in all but one project. 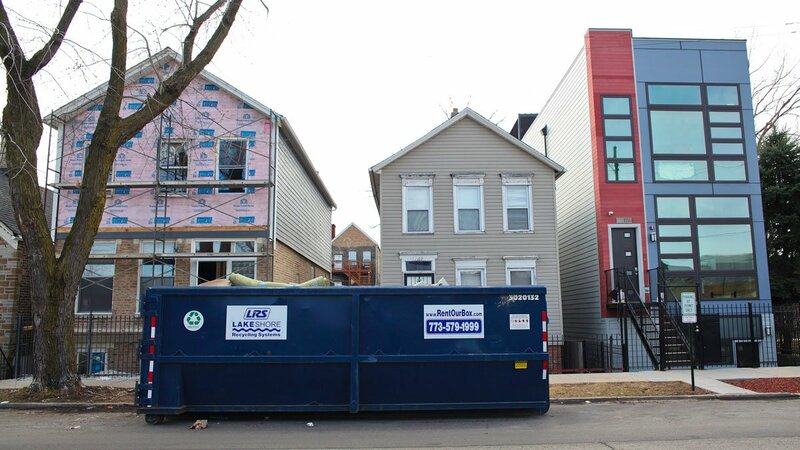 “It was approximately 900 units, in total, that we stopped,” she said, adding that more than 2,000 market-rate units were approved in Humboldt Park during that same period. “When you look at that and you look at Pilsen, who, quietly, without making a lot of noise, stopped so many, I feel pretty good about what we’ve been able to accomplish,” she said. John Betancur is a professor at the University of Illinois at Chicago’s Department of Urban Planning and helped create Instituto del Progreso Latino, an adult education center that recently opened two charter high schools in West Pilsen. He has studied urban change in cities around the world and has authored multiple studies on gentrification in the neighborhood, including this one from 2016. 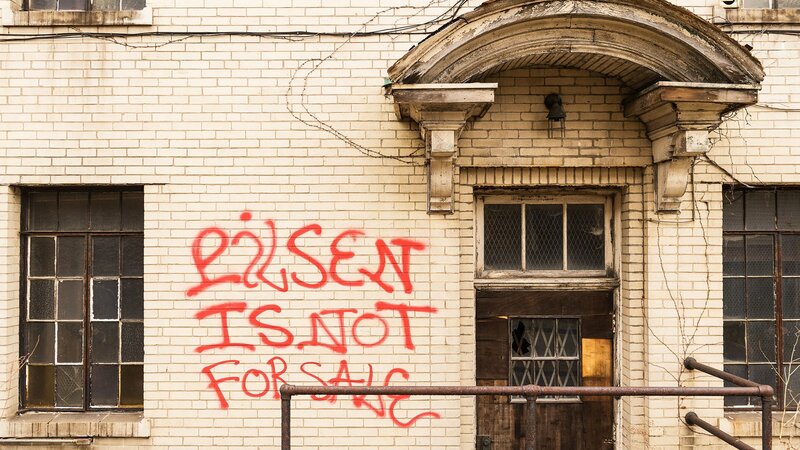 He says that the conditions have been ripe for large-scale gentrification in Pilsen for years, but the organization of the residents, combined with the 2008 financial crisis and the ensuing development slump, effectively slowed the process. He says that most cities naturally promote gentrification, or the arrival of higher-income residents and the displacement of lower-income residents, and he claims that Chicago is no exception. “Middle- and upper-income [residents] pay [higher] taxes, so that’s why many cities welcome gentrification. They see it as their salvation,” he said. City-led or supported initiatives to redevelop Pilsen began as early as the ’70s, says Betancur, but Pilsen residents held development at bay. In 1973, community opposition coalesced against Chicago Plan 21, a planned middle-class community conceived by a coalition of downtown business leaders. In the 1980s, residents organized to stop John Podmajersky Jr., the son of Slovak immigrants and a lifelong Pilsen resident, from turning an old Pilsen brewery into a residential and performing arts complex. Community efforts also successfully resisted plans by Mayor Jane Byrne to develop parts of Pilsen as part of Chicago’s bid to host the 1992 World’s Fair. Betancur said that the Richard M. Daley administration promoted redevelopment in several ethnic neighborhoods for years, in part by finding ways to market the existing cultural assets. 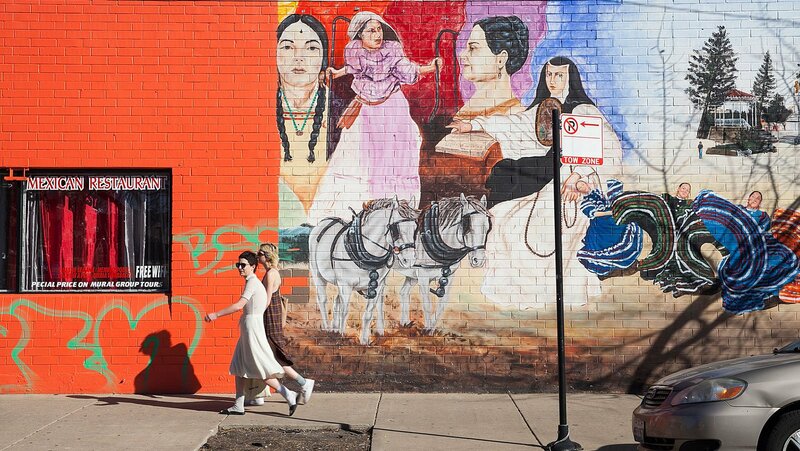 “Many people started spreading that idea if you want to see Mexican culture alive, come to Pilsen. If you want to consume Mexican culture, come to Pilsen,” he said. “Pilsen is different from many other cases in that it was very, very contested, very opposed, and so it took a long time to achieve scale,” he said. In 1996, Mayor Daley appointed Solis as alderman of the 25th Ward, which includes most of Pilsen. Solis was an advocate of the development. Today, he takes pride in having helped the city and UIC usher it in. He says the plan initially drew widespread opposition in the community, even from his allies at TRP, but he claims the proof has been in the results. “Talk to my critics or talk to my supporters. They all say [Pilsen has] improved,” he said. Solis makes no apologies for welcoming economic development in the ward. But many in Pilsen would like to see the alderman, and PLUC, go even farther. Vicky Romero, who is also an anti-gentrification activist and former board member of the grassroots group Pilsen Alliance, says that the affordable requirements are helpful, but they’re not enough. “They’re better than nothing, but we have to tweak the definition of affordability, and we have to define it based on the residents that it is affecting,” she said. The definition of affordable housing in Chicago is based on the Area Median Income, or AMI, for the Chicago metro area, a swath of land that covers six counties. Every one of them, except for Cook County, is ranked among the wealthiest counties in Illinois, as measured by median family income. In 2016, the AMI for the metro area was $76,900 for a family of four – more than double the median income for Latinos in Pilsen in 2015, which was $36,625. Rental housing is considered “affordable” by city standards if people who earn 60 percent of the AMI would be able to afford it while paying no more than 30 percent of their income on rent. PLUC’s requirement in Pilsen reduces the targeted income bracket to between 30 and 50 percent of the AMI for rental units and between 60 and 85 percent of the AMI for condos. “Even that affordable housing is not affordable to the average Pilsen resident,” said Romero. Romero and Pilsen Alliance were part of the 2004 referendum campaign that pushed Solis to hold public meetings on all proposed zoning changes in the neighborhood. But, when Solis created PLUC, he opted to not to extend an invitation to the organization. He added that each of the organizations he selected is led by people he worked with in his early days when he was a community activist. Pilsen Alliance opposed the one development that PLUC approved in 2015 and 2016, a 99-unit building at 1414-48 West 21st Street. In that case, PLUC waived the 21-percent affordable set-aside requirement. Instead, the developer agreed to donate a one-acre parcel of land appraised at $1.4 million next to Benito Juarez Community Academy’s soccer field and meet the city’s requirements for affordable housing in lieu of Pilsen’s requirements. Byron Sigcho, the current director of Pilsen Alliance, said he wishes the process were more transparent. As an organization that he says isn’t beholden to city grants or politics, he believes Pilsen Alliance should have a seat at the table. “We know that we have a more demanding voice in advocating for low-income residents,” said Sigcho, “because [those are] the residents that are usually not at the table, don't have the time to be at the table, but they need an advocate. So, if no one advocates for them, we know what is going to happen. That is what we have seen actually happen,” he said. Guacolda Reyes said that Pilsen Alliance plays an important role in the community, but she defends TRP’s strong relationship with the alderman and what it has helped them accomplish over the years. “At TRP, we have been realistic,” she said, adding that the 21-percent affordable-housing set-aside is discretionary, and the alderman could stop consulting with PLUC about large-scale developments at any time. “It is non-binding,” she said. She said that while PLUC has made strides on large developments, too much attention is focused there at the expense of what might be an even more menacing threat to the character of the community: the daily buying and selling of single-family homes that flies under the radar every day. “There is a lot of noise about gentrification and displacement and these big developers, but there is this silent displacement that is happening that we can’t stop,” she said. She said she would like to find a way to connect buyers already renting in the community with people looking to sell their properties. But too often, those homes never even go on the market. Vicky Romero said that, every month, about three different developers offer her mother cash for her 4-unit building, which her family bought in the mid-70s. Her property taxes this past year were nearly $5,000 and her only income, outside of her property, is a social security check, which brings in just $13,000 a year. “If she had a mortgage on her home, I don’t know how she would survive,” she said. But Romero’s mother has no intention of selling. Her son and daughter-in-law live in one unit, and long-time residents occupy the others. CORRECTION: The number of white residents in 2015, represented in the ‘White and Hispanic Population By Year’ graph, was incorrect when this story was initially published. It has since been corrected.